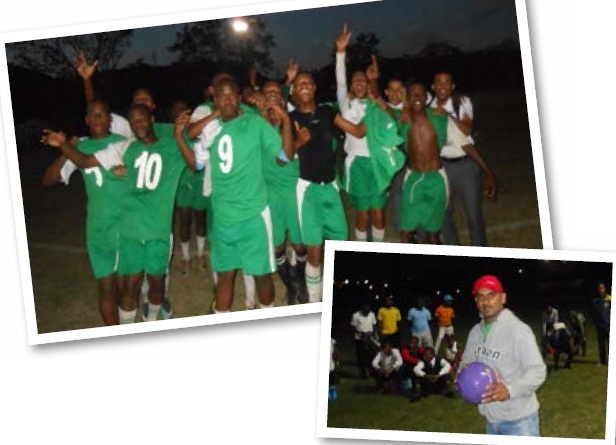 The 2013 Springhills U19 Soccer Tournament was a great success, which was largely attributed to your support and participation. The carnival atmosphere certainly provided a stage for our learners to showcase their soccer skills and talents. Both learners and officials conducted themselves in a professional manner which augurs well for future tournaments. In keeping with the theme “Promoting Education Through Sports “, Springhills will always endeavour to use sport as a vehicle to promote education. Judging by the many accolades received, this tournament will be an annual event. We take this opportunity in congratulating Hillview Secondary, the winners of our inaugural tournament. We would like to sincerely thank Hollywood Sportsbook Holdings for their generous support this year and we look forward to partnering with you again next year. Copyright © 2019 Hollywoodbets – My Community Programme. All rights reserved.